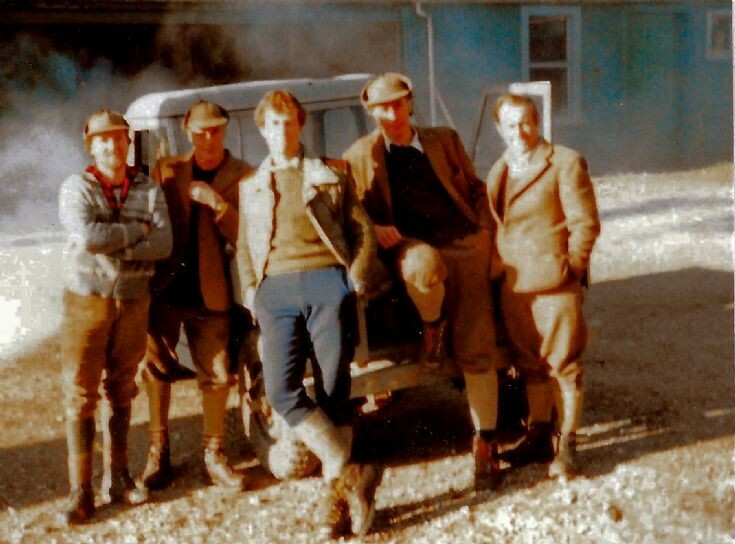 Summer 1981 - L to R;- Ian MacDonald, Jimmy Dunbar, Mark Cullen, Donald MacDonald (no relation to Ian) and George Oswald. In the background a very smoky Perkins Diesel engine was just being started up as we were setting out for a day's stalking. Hi Sheila, yep, I well remember your Dad and Jimmy doing all the mechanics and repairs to the engines. Jimmy was a bit of a jack of all trades. I remember your Dad telling me once he was the kind of guy who was "afa' handy to have around" and even after all the time they'd known each other Jimmy still had the capacity to surprise Geordie with some job he'd done in the past, or some other little trick he was able to turn his hand to.